The results continue to roll in. Every week the fans wait for the switch to be flipped, for it all to click. Instead, the Penguins start looking more and more limp. And this is the problem. The Penguins are broken. This was supposed to be a year of re-birth, of growth, of change. A new coach, new GM, fresh faces. Things would be different. Instead, more than half way through the season, there's not only no change but possible regression. Last year ended and there was a cry for change. A needed change. The coach had become stale and needed a change. The core was ineffective and fresh voices were required. James Neal, Matt Niskanen, and Brooks Orpik? Gone. Mike Johnston and Jim Rutherford were going to usher in a new, prosperous era of Penguins hockey that would right all of the wrongs of the previous regime. One that had proven time and again it didn't have what it took to win. Regular season success was not enough. James Neal is thriving in Nashville, an important part of one of the best teams in hockey and leading them in goal scoring. 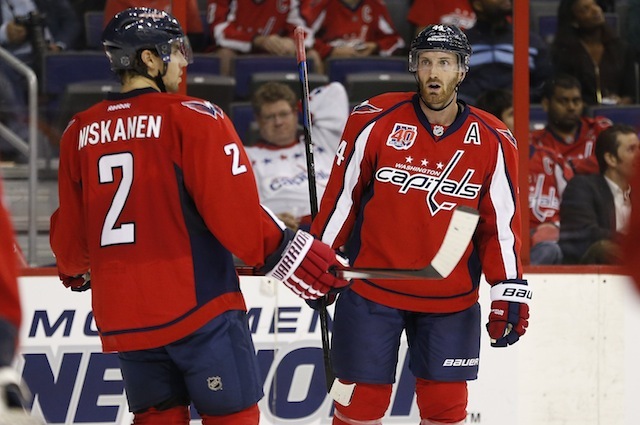 Matt Niskanen and Brooks Orpik have become key parts of the blueline on a Caps team that is currently ahead of the Penguins in the standings. Dan Bylsma and Ray Shero are collecting fat stacks and likely smiling. The Penguins are in a free fall. Anyone who has watched the team in the past two months can see it. There is no heart. There is no soul. When there's finally fire they are easily burned, as evidenced by Sunday's embarrassment by the Capitals in which the Penguins showed as much spark as they have in ages... and couldn't muster more than one goal. The Penguins are broken. From their very soul on out. The core has changed. The coaching has changed. The GM has changed. The leadership has not. The leadership continues to fail. And the failings begin with Sidney Crosby. Much like the Penguins, a look at the standings for Sidney Crosby does not show much for concern. The Penguins are in the playoffs if the season ended today. Sidney Crosby is in the top five in scoring if the season ended today. Much like the Penguins, the issues run much, much deeper than the basics of stats. It's one of the few reasonable explanations for his play. 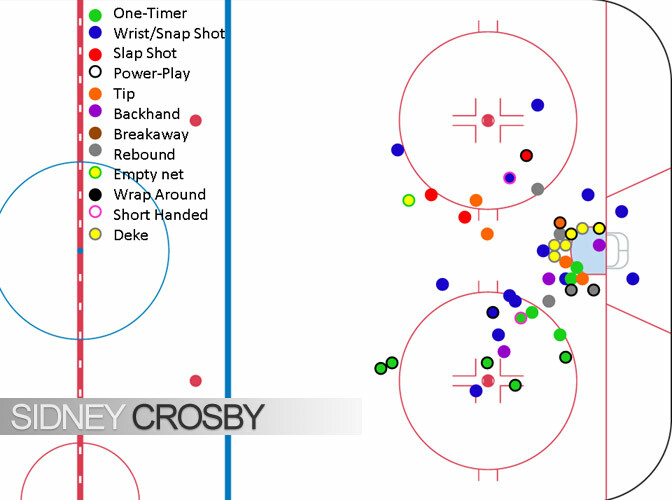 Sidney Crosby is no longer aggressively attacking the net. He's no longer getting in deep. He's no longer thinking attack first. During his solitary 50 goal campaign, Sidney Crosby was an aggressive menace. Constantly going to the net to get the dirty goal in any way he could. Over the years that has waned greatly. This year? He's seen prolific goal scoring slumps almost unseen in his storied career. Why? Ask yourself: How many times have you seen him skate down the ice, just to pass? How often on the power play has he had the puck at the half wall on the power play only to decide it was better that someone else take the shot? How often do we see him down low, battling for pucks? Sidney Crosby has taken his best weapon, his tenacity, and greatly marginalized it. His aggressiveness is now manifesting itself in other, completely stupid, ways. Instead of attacking the net, he's attacking opponents. Instead of being aggressive and letting his play speak he's taking unnecessary penalties. When his career started an angry Sidney Crosby was something to be feared. He would channel that anger and become the attacking possession monster that blew up for four point nights and could beat the Flyers single handed. Now? Now he goes scoreless and fights Brandon Dubinsky. The Pittsburgh Penguins are broken. Sidney Crosby is broken. Fixing the latter will not cure the former, at least as long as possession negative players like Craig Adams, Brandon Sutter, Zach Sill, and Rob Scuderi continue to collect pay checks, but it will be necessary for the healing to begin. Sidney Crosby, as currently constituted, is one of the best hockey players in the world. The ailing Penguins need him back to the best, need him to be the leader he used to be. Only then can the full repair truly begin. Why do you hate Crosby, bro?